I’m not sure why I had such a difficult time with “Action” but I did. It’s so wide open and specific at the same time. 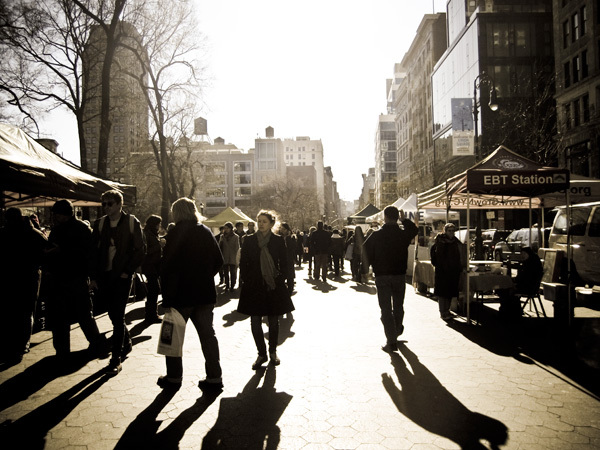 I try to make these photos truly New York City centric so in the end I chose the Green Market in Union Square. This place is always hopping, people buying, wandering, shooting photos, meeting friends. I’ve never seen it not busy when the booths are up. There are people everywhere looking and sampling, chatting and weaving, doing that typical NYC dance in a crowd. "If the moon smiled, she would resemble you..."